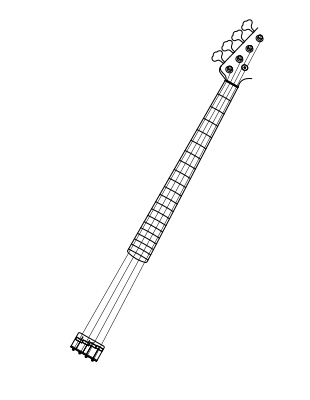 If you like guitars, you will love our unique new product! 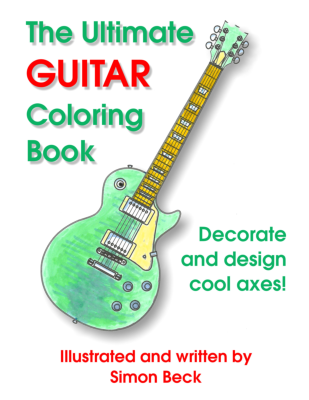 Imagine an 8½" x 11" paperback full of accurate line drawings of your favorite guitars, just waiting to be colored, decorated and customized. The instruments include electrics, acoustics and basses. 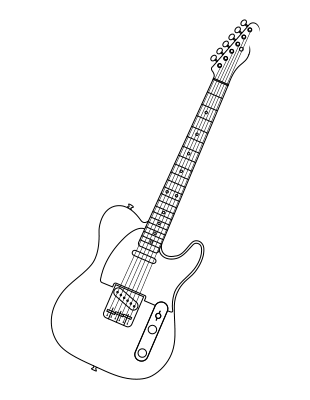 We have even included guitars without pickups and controls so you can create your own. Or how about just a neck with a bridge and strings so you can design your own body shape? Each instrument has a short description on the facing page. 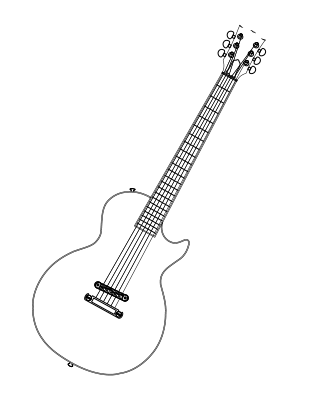 The illustrations are hand-drawn by Simon Beck, a multi-instrumentalist and life-long guitar fanatic, based on photos, and are printed in high-quality black and white. There is even a page of handy hints. If you have colored a really good picture, why not scan or take a photo of your artwork and e-mail it so we can put it in our gallery (coming soon)?
. Meanwhile, why not download and print a sample image? You will require Adobe Reader. Download and print the sample image and get coloring and scanning NOW!!! Send us your picture along with your name using the e-mail link below. artists' names will be shared or published on the site. and are not intended to depict the specific products of any manufacturer extant or defunct.